How does poor quality sleep affect your efforts to lose weight? Not only can missing out on a decent night’s sleep leave you feeling grumpy and restless, it may also make your efforts to lose weight even more of a difficult task. As well as sleep affecting normal physiological functioning when sleep loss becomes habitual the disruption of hormones and metabolism may contribute to weight gain. A study, undertaken at the University of Pennsylvania by Dr. Banks, studied 92 healthy adults under periods of restricted and unrestricted sleep and found that those who experienced only four hours in bed gained 1.5 kilograms during the 11-day study! I personally found this alarming! The researchers in this study also believe that sleep restriction can lead to an increase in the hormone ghrelin, which stimulates the appetite making people experience hunger and eat more than required. Ghrelin is produced in the stomach. Too much grehlin makes us feel as if we’re starving. Grehlin is produced while we sleep and it’s thought that adequate sleep will help to produce normal amounts of grehlin. However, lack of or inadequate sleep upsets the balance, leading to an overproduction of ghrelin. Research has found that people who only get 5 hours sleep per night have 15 per cent higher levels of grehlin compared with those getting eight hours a night. Leptin is the hormone that is meant to tell us when we’re full. The Wisconsin Sleep Cohort Study found that participants with a shorter sleep cycle had reduced leptin and elevated ghrelin. The report concluded: “These differences in leptin and ghrelin are likely to increase appetite.” So how much sleep is enough? For most the norm is 8 hours. But really, I find this depends on the individual. My partner can have 4 hours sleep a night and he functions optimally and has plenty of energy. But I find when he sleeps, he really sleeps. Nothing wakes him! I, on the other hand need 8 hours and I certainly don’t sleep the way he sleeps and spend sporadic stages throughout the night listening to him snore. 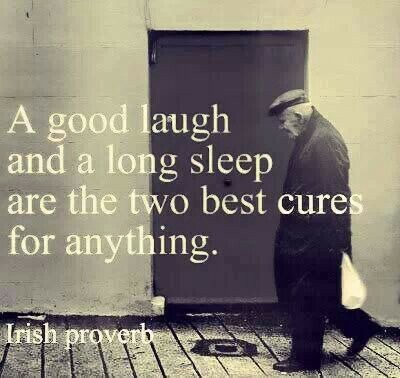 So, really it depends on how much good quality sleep you are getting. At the end of the day, do not focus on the amount of sleep you are getting but how you feel that day and when you are to get out of bed in the morning. It is also, a good idea to stick to a consistent sleep cycle. Poor sleep can have a range of consequences that impact on our weight. It can lead to poor food choices, lack of energy to exercise and it can make our metabolism more sluggish and these are just some of the reasons to place some focus on getting a good nights sleep! It is important to relieving stress in any way, as stress can be a major trigger for insomnia. Exercising in the afternoon or early evening can help you fall asleep by raising body temperature a few hours before bed, allowing it to fall, as you are ready for sleep later in the evening, which is a contributing factor to falling asleep. In saying that, it is important not to exercise too close to bedtime, as the rise in body temperature interferes with your ability to asleep. Other healthy ways to alleviate stress is watching some light-hearted television, taking bath, removing electronics or light from your bedroom, having a pot of chamomile tea, eating at least 2 hours from bedtime or meditation.